The WSO stool, combines traditional joinery methods with an innovative leg structure to create elegant yet practical pieces designed for every day use. The legs, formed from solid timber dowels, achieve a high structural strength relative to their diameter due to the triangulation and angular offset of each part. 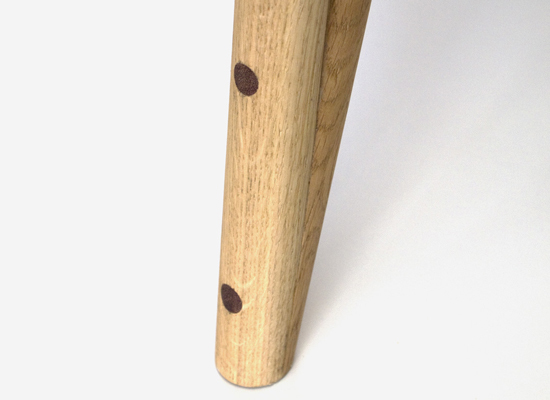 Made from solid timber (FSC certified European Oak or Ash), with Sapele wedges and dowels. A wax oil treatment is applied to embrace and display the natural quality of the materials used. Manufactured in East London.